Join for a free event at 10 a.m.: Your Final Checklist: A Family Gift at TMC for Seniors on the El Dorado Health Campus, 1400 N. Wilmot Road, Tucson, AZ 85712. Ruth Bennet with the Funeral Consumers Alliance shares practical information on the kinds of information to make available to a person you trust. Click to RSVP. “Advancements in the Treatment of Pain” is brought to you by the medical professionals at the TMC Integrative Pain Clinic. Interventional Spine Options for the Aging Spine, Robert J. Berens, MD will present. Contact information: The Core at La Encantada (520) 324-2673. The University of Arizona Sarver Heart Center will continue its 32nd annual Green Valley Lecture Series on Thursday, April 18, at 10 a.m., with “Arthritis and Heart Disease: Is Inflammation the Common Culprit?,” presented by C. Kent Kwoh, MD. Recent studies show that men with osteoarthritis were up to 40 percent more likely to suffer from heart disease than men without arthritis, while women were 23 percent more likely. Although osteoarthritis is not in itself inflammatory, its damage can cause inflammation, which can increase the risk of heart disease. Additionally, cardiovascular disease heads the list of the serious complications people with rheumatoid arthritis (RA) experience. Having RA doubles the risk of most heart problems, including heart attack, stroke and atherosclerosis. Dr. Kwoh will discuss the key role of the inflammatory process in arthritis-related diseases and the subsequent increases in the risk of cardiovascular disease. He also will share the science behind the arthritis-cardiovascular connection and recent research initiatives on the horizon. 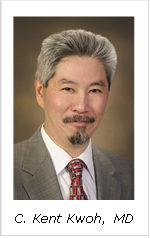 Dr. Kwoh is the director of the UA Arthritis Center; chief, Division of Rheumatology; professor of medicine and medical imaging; and The Charles A.L. and Suzanne M. Stephens Endowed Chair in Rheumatology, UA College of Medicine – Tucson. This lecture is co-sponsored by the UA Arthritis Center. For more information about the UA Arthritis Center, please visit arthritis.arizona.edu. With questions about access or to request any disability-related accommodations that will facilitate your full participation in this address, such as ASL interpreting, captioned videos, Braille or electronic text, etc. please contact: Ross Dubois at duboisr@email.arizona.edu or call (520) 626-9037. Contact Centennial Hall at (520) 621-3341. Get an overview of running safety tips provided by Southern Arizona Roadrunners followed with a hands-on free self-defense class from 1-3 p.m. at The Core at La Encantada, 2905 E Skyline Dr Suite 277, Tucson, AZ 85718. Participants must be at least 16 years of age. Anyone under 18 must have a parent/guardian present. Click to RSVP. The Action Collaborative on Countering the U.S. Opioid Epidemic will host its first in-person public meeting on April 30, 2019 in Washington, DC. The open session, from 6 to 10 a.m. (9 a.m. to 1 p.m. EDT), will feature a keynote speaker and updates from the Action Collaborative’s four working groups. The public meeting will include a section that is open to the public. The remainder of the meeting will be closed to the public and utilized for Action Collaborative member discussion and deliberation. Click here to register for the open session via live webcast. The open session will be recorded and posted here after the meeting concludes. The third annual Tucson Palooza will take place on Saturday, May 4, 9 a.m.-1 p.m., on the University of Arizona Mall, 1303 E. University Blvd., Tucson, AZ 85719. Tucson Palooza is a free, community-wide, family-friendly event that brings together resources from throughout Tucson and Pima County to deliver useful information about mental health in a fun, informal setting. The Tucson Palooza Steering Committee consists of multiple local agencies and is led by Camp Wellness, an award-winning program of the UA Department of Family and Community Medicine. Camp Wellness is for individuals with serious mental illnesses, general mental health conditions and substance use disorders. Arizona Complete Health is this year’s presenting sponsor of the event. Arizona Complete Health provides and administers health benefits through Marketplace, Medicaid and Medicare. This year includes the inaugural “First Responder’s Lip-Off Challenge,” which promises to be a highly entertaining live lip-sync among police, fire and EMT teams. Celebrity judges will be Larry Macfrom 96.1 KLPX, Damien Alameda from KOLD-TV and a spokesperson from Arizona Complete Health. Tucson Palooza seeks to reach new audiences and reduce the stigma associated with mental health disorders. The event includes useful information and resources, festivities, including games for the whole family, and live music. More information is available at tucsonpalooza.org and facebook.com/OfficialTucsonPalooza. Focus on Diabetes: Food Tour to Better Health free event at 4 p.m. at TMC for Seniors on the El Dorado Health Campus, 1400 N. Wilmot Road, Tucson, AZ 85712. Join TMC Diabetes Education staff to learn about the best choices for a healthy diet. Click to RSVP. Find Your “Why” to a Healthier Life at this free event at 5:30 p.m. at The Core at La Encantada, 2905 E Skyline Dr Suite 277, Tucson, AZ 85718. Join TMC Wellness experts Mary Atkinson and Laurie Ledford on learning to make small healthy changes stick by finding your “why.” Click to RSVP. The fourth annual Rural Women’s Health Symposium is June 26-27 at Poco Diablo Resort in Sedona. The address is 1752 AZ-179, Sedona, AZ 86336. This symposium is an opportunity for different organizations to share their best practices in serving women in rural Arizona and recognizing champions in rural women’s health with an award celebration. This year’s theme is “Enhancing Women’s Health and Wellness” Join the symposium to learn, network and discuss rural women’s health needs. 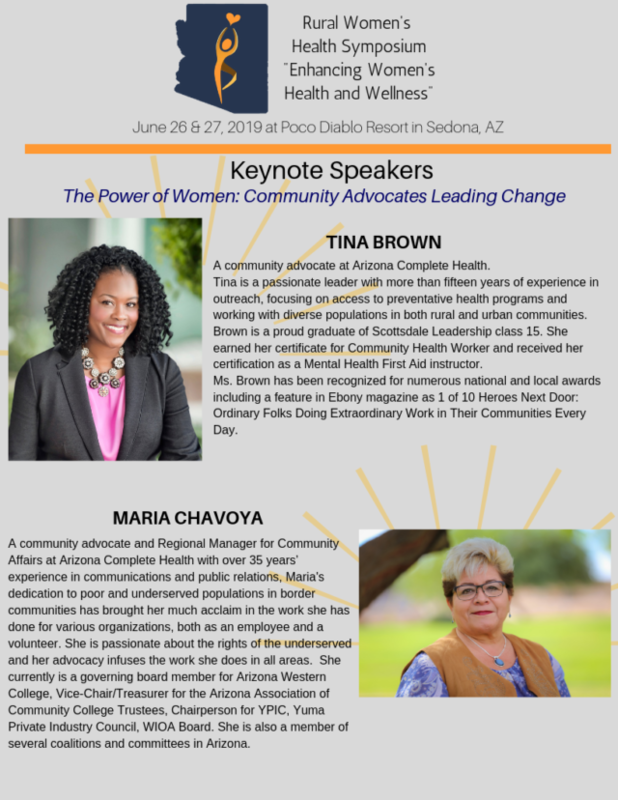 The keynote speakers are Maria Chavoya, regional manager for community affairs for Arizona Complete Health and Tina Brown, community advocate for Arizona Complete Health. Member pricing: Early Bird (end May 27): $65 / After May 27 the member rate is $80. Non-member pricing: Early Bird (ends May 27): $80 / After May 27 the non-member rate is $95. The conference will include an awards luncheon on Day 1 and breakfast on Day 2. Sonoran Prevention Works Training on June 26 from 8:30-11 a.m. is $25. (This fee is to cover the cost of breakfast only. The training is free.) This training is separate from the general conferences and requires registration as an add on, which can be added on with general conference registration by clicking here. The cutoff date for book is May 24, 2019. Room rates start at $139 for a traditional room. Plus tax and $10 resort fee. To book call the group reservaton line at (928) 203-5923, e-mail reservations@pocodiablo.com or book online by clicking here. At the American Board of Medical Specialties national conference you will expand your knowledge, share best practice, connect with your peers and engage in professional development opportunities. 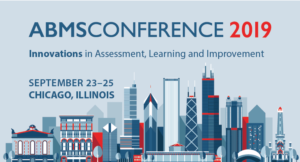 The conference will take place at JW Marriott Chicago 151 W. Adams St. Chicago, IL 60603.